Protect your gear while riding in wet, nasty conditions. Constructed from a tough, sonically welded and seam sealed waterproof material. The small version of a classic Fizik saddlebag. 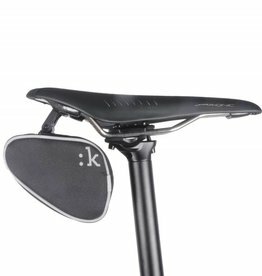 The KLI:K system makes it so simple to attach and detach on your Fizik saddle. 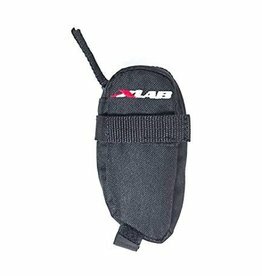 Finally you can carry all your small parts in your XLAB Mini. 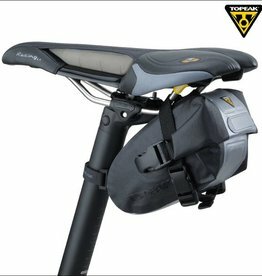 The Dual is small enough to nestle under a seat without scraping against your thigh, yet it’s big enough to hold two 700C tubes and two CO2 cartridges, plus an inflator. It rides horizontally while our other bags hang vertically. It is named for a cat, but it is also sized for a single tubular tire. While it may be PRO-like to ride with a tubular tire mounted naked under your saddle, with nothing but an Alfredo Binda toe strap holding it in place, this method has drawbacks.